Sadie Jones is a novelist and screenwriter. Her first novel, The Outcast (‘Devastatingly good’, Daily Mail) won the Costa First Novel Award and was shortlisted for the Orange Prize. It was also a Richard and Judy Summer Reads number one bestseller and adapted for BBC Television. 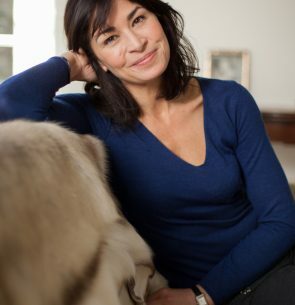 Her second novel, Small Wars (‘Outstanding’, The Times; ‘One of the best books about the English at war ever’, Joel Morris), was published in 2009, and longlisted for the Orange Prize. Her third, in 2012, was The Uninvited Guests (‘A shimmering comedy of manners and disturbing commentary on class… a brilliant novel’, Ann Patchett) followed by Fallout in 2014 (‘Intoxicating and immersive’, The Sunday Times).